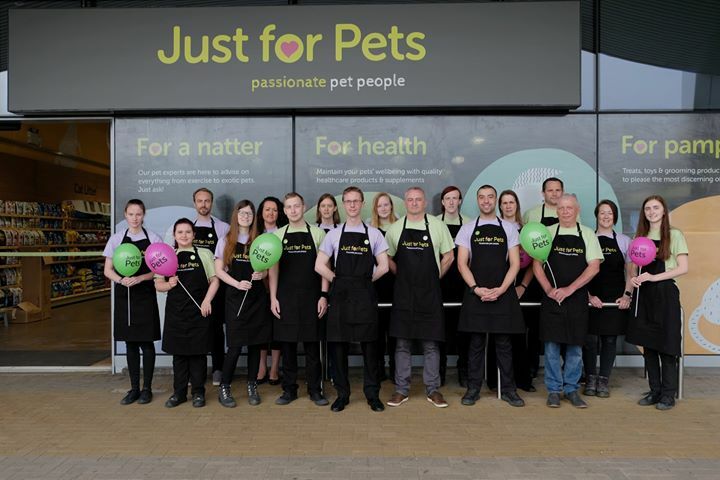 Putting knowledge and an energised customer experience top of its agenda, specialist pet retailer Just for Pets has given its Telford store a complete makeover as part of a £1million investment plan, and it will see loyal customers in the area get the five-star treatment. Not only will Telford’s pet lovers now be able to experience Just for Pets’ refreshed market approach and new visual identity – the brand is also celebrating with a fun-filled family day at the store, on Saturday 11th August, in celebration. With face painting, competitions, and activities throughout the day with the store’s pet experts – there will also be free exotic animal talks and handling from 10am – 2pm which will include a skunk, racoon, tenrec, opossum, snakes, lizards and more! Coming just ten months on from when the popular pet business was threatened with closure, Just for Pets has worked closely with its customers to gather research and conduct testing to deliver an energised customer experience. Telford Store Manager Richard Coyne says: “At a time when so many high street retailers are finding it difficult, it’s so exciting to be benefiting from an investment like this and to be able to improve the quality of service we can give to our customers, old and new. 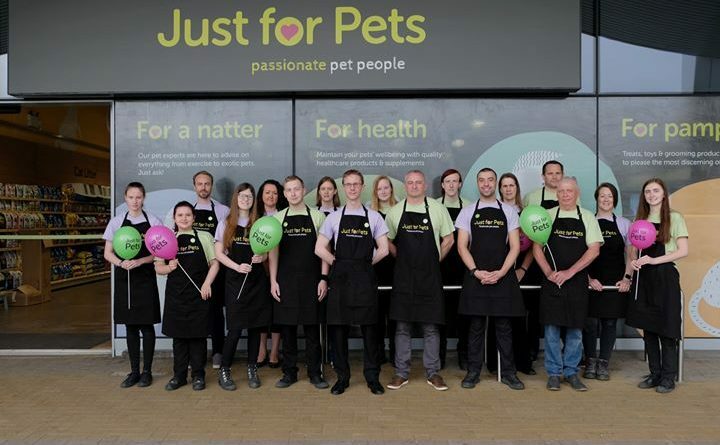 The rebrand activity is being rolled out in a phased approach across Just for Pets 16 stores, with launch events at each, and Telford is only the third in the country to benefit so far. Other Just for Pets stores are located in Derbyshire, Worcestershire, Cambridgeshire, Nuneaton and Wolverhampton. Cementing its new brand proposition of passionate pet people, the rebrand will also see the roll out of a suite of new visuals including; a dedicated palette of colours to enhance the shopping experience and provide customers with easy navigation through store, a refreshed logo and even the introduction of a family of illustrated characters, Doodle the Dog, Bonnie the Bird, Rascal the Rabbit and friends − set to help engage and educate parents and their children in the wellbeing of pets. Where in Telford is it? It is next to farm foods in Ketley …. we have shopped there since it first opened and highly recommend it based on price and customer service.